Restaurant In Den Rustwat used to affectionately be referred to as the ‘refreshment room’. This really still applies today too: we will make sure you feel thoroughly refreshed by the time you leave our restaurant. 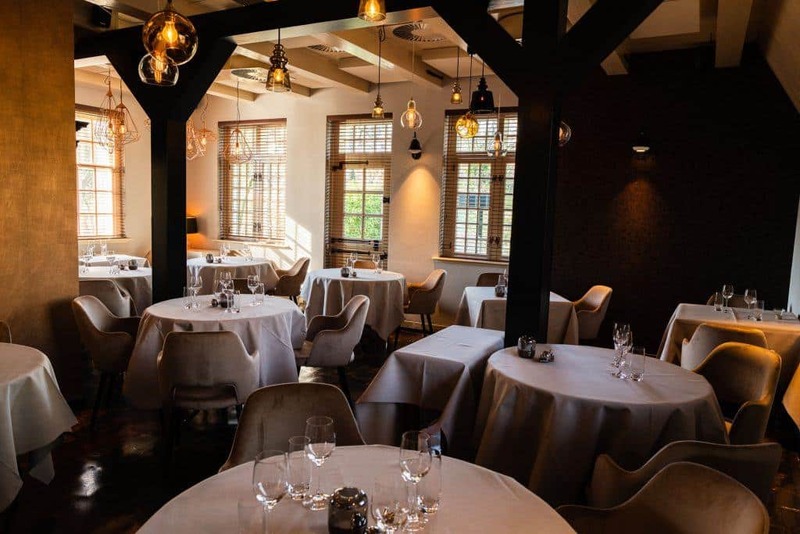 IDRW occupies one of Rotterdam’s best preserved historic buildings; the Inn dates back to 1597 and has enjoyed an impressive 400 year culinary history. The Inn started off at the top of the Honingerdijk, but the building was moved to its current location, next to Trompenburg Tuinen & Arboretum, in 1959. Many authentic items have been preserved; the tile flooring is original, just like the Delft blue tiles on the wall and the ‘collapsed’ thatched roof is certainly a veritable eye-catcher too. Since the restaurant was reopened by Mayor van Walsum on 18th May 1960, our hospitable and personal, stylish and gastronomical ‘refreshment room’ has been one of Rotterdam’s best culinary establishments. We’re looking forward to creating a fantastic lunch or dinner for you!